Are you looking to make a Ferrofluid sculpture, do you need Ferrofluid to perform various scientific experiments? You can now buy Ferrofluid in bulk in Canadian dollars! Note that we only sell Ferro fluid within Canada. Ferrofluid is dark oily magnetic material with amazing properties. When an external magnetic field is applied to the Ferrofluid, the magnetic particles in the Ferrofluid orient themselves almost instantly to the magnetic field lines. This creates amazing spiky fractals and geometric forms that allow you to see the magnetic field of the magnet in 3 dimensions. 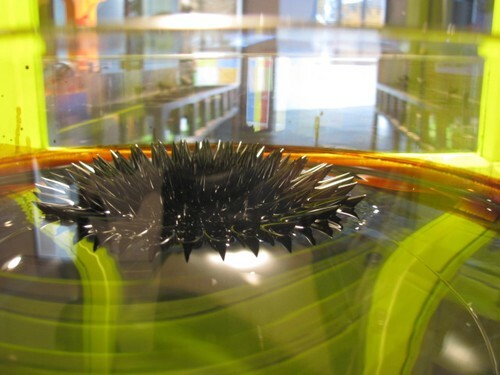 When the magnetic field is removed, the Ferrofluid particles go back to their normal alignment very quickly. PLEASE NOTE: Ferrofluid will evaporate when exposed to the open air. 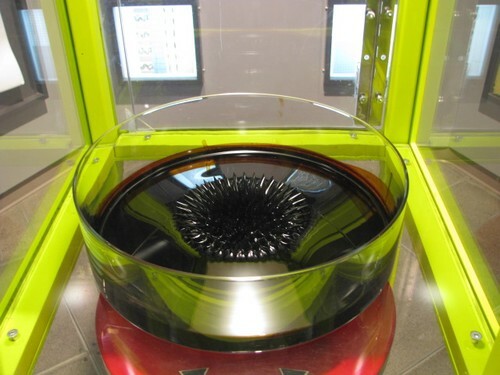 As the ferrofluid evaporates, the fluid loses some of its magnetic properties. Any sculptures created will lose their jagged edges. Also, please be sure to replace the bottle cap when not in use. This Ferrofluid is intended as a teaching tool or for amusement only, it should not be used in delicate loudspeaker applications. Here is a mind-blowing ferrofluid sculpture, created by Japanese artists Sachiko Kodama and Yasushi Miyajima. 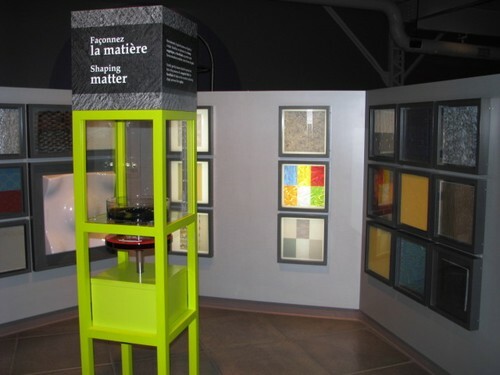 The Montreal Science Centre is using our Ferrofluid in their interactive “shaping Matter” display.